Private equity firm GTCR will buy Virginia-based Sage Payment Solutions (SPS) for $260 million. Chicago-based GTCR is acquiring SPS from the Sage Group, a provider of accounting, payroll and payment solutions headquartered in the UK. GTCR says it will work with SPS management to pursue organic growth and fund future acquisitions in the payment processing industry. To support this, GTCR will provide up to $350 million of equity capital to the platform. The transaction is expected to close in the third quarter following receipt of regulatory approvals and other consents. Collin Roche, managing director at GTCR, says it intends to “invest further in the technology and offer additional innovative solutions to SPS customers and partners”. SPS provides credit card, automated clearing house (ACH), cheque, gift and loyalty card processing services to SMEs in the US and Canada. Under the terms of this deal, SPS will be the preferred provider of merchant processing services to Sage clients in the US. In a separate deal, GTCR sold payments firm Fundtech to D+H in 2015. It is now known as Global Transaction Banking Solution (GTBS). GTCR bought Fundtech in 2011. 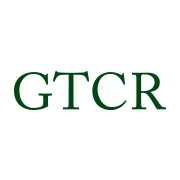 Founded in 1980, GTCR invests in companies in fintech, healthcare, technology, media and telecommunications, and growth business services industries. It states it has invested more than $12 billion in over 200 companies. Sage has 13,000 employees in 23 countries. It was formed in 1981 and floated on the London Stock Exchange in 1989.